DO YOU want to know the secret to a long and happy life? Not so much the eating of vegetables (though that certainly helps) but the growing of them. 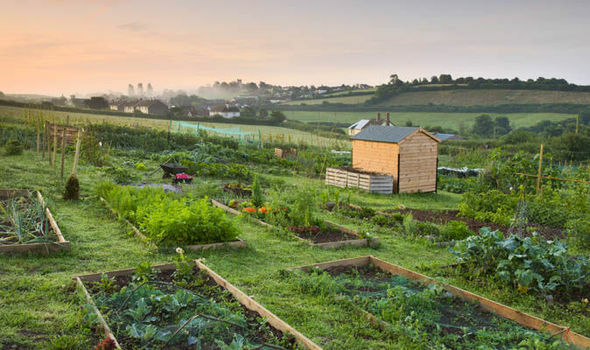 According to scientists from Essex and Westminster universities spending half an hour a week on an allotment results in an instant reduction in stress and fatigue, as well as boosting self-esteem, vigour and a general feeling of good health. They also found that allotment holders are less likely to be overweight, have more energy and are not so prone to anger, depression and anxiety. None of this is news to anyone who has an allotment. Whether it’s a pristine, award-winning mini farm producing perfect vegetables all year round, or a scrubby bit of dirt by the railway tracks yielding a bagful of runner beans and a couple of dozen potatoes every other autumn, the simple pleasures to be found on the plot go far beyond the act of actually growing anything. My wife Heidi and I have had our allotment for 10 years. When we moved to Oxford from London almost the first thing we did was join the waiting list for a plot in our local area of Osney.